The advent of renewable energy is an authentic economic and cultural revolution, that could free humanity from an energetic production based on fossil fuel, with all the geopolitical, economic and medical consequences. But the develop of renewable energy in Italy is somehow anomalous, and the risk is to completely frustrate those virtuosity that could come from it. 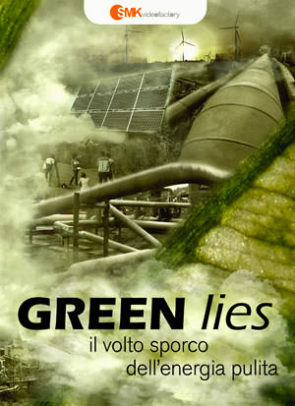 “Green Lies” shows these anomalies, often exasperated because of economic speculation and that have negative consequences. We met three citizens committee from different cities: Camugnano (Bologna) for wind power, Salento (Lecce) for solar power and Monte Amiata (Tuscany) for geothermal power. Three stories that will help us going into deep in the problem and to see what the possible solutions are. Knowing that renewable energies could really be a cultural and economic revolution, but only if they will become available to all, and not just for a few.